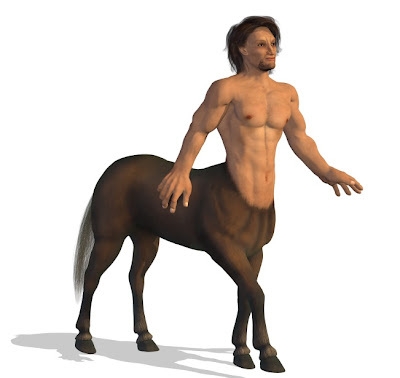 Composite creatures, such as the mythical centaur, have long lived in the human imagination. Our growing power to directly design life forms should give us pause, says bio-ethicist Paul Root Wolpe. Once we perfect the technologies in animals and start using them in humans, what will be the ethical guidelines? You may have already heard of the liger, the lion-tiger hybrid that is the largest cat in the world. Now meet the beefalo (buffalo-cattle), the geep (goat-sheep) and the camma (camel-llama). Bioengineers have removed the bio-luminescent gene from jellyfish and used it to make kittens, pigs and puppies that glow in the dark. Some states already allow sales of genetically altered Zebra fish, a black-and-white aquarium favorite that now comes in glowing yellow, red and green. It’s past time for us to confront tough questions about bio-engineering, Wolpe says. How are we going to define animal species in this new era of directed evolution? Cloning and computers are further pushing the envelope of transgenic animals. Labs have created organic robots, including Goliath beetles implanted with computer chips that allow engineers to use a joystick to control their flight. This technology is not limited to insects. One lab has created a robo-rat with electrodes wired into its brain and a tiny camera mounted on its head.